This is Amma part of the Tajweed Quran, Part thirty, starts from sura "An-Naba' " till sura "An-Nas", it includes translations and transliteration into Russian. Translation: meanings of the Quranic versus are translated into Russian and placed on the margins around the Arabic text. Transliteration: Arabic letters are presented by Russian letters with added symbols in order to give the same sound of Arabic letters. 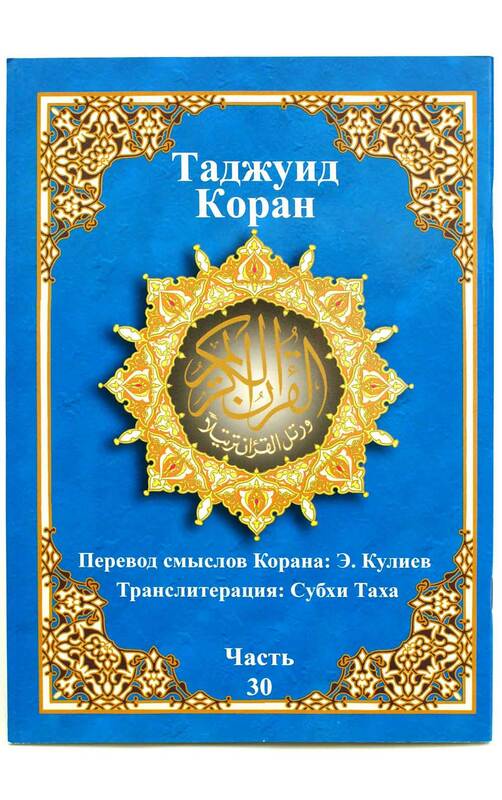 Russian transliteration makes it easier for the speakers of the Russian language to read the Tajweed Quran in Arabic pronunciation using the Russian alphabet letters. As a new muslim I loved it. It helps me alot.